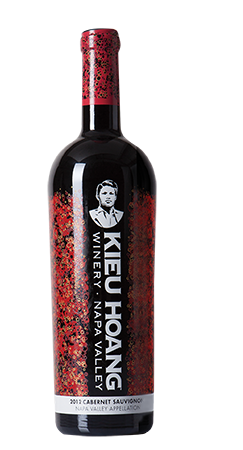 From the Carneros Kieu Hoang vineyard this Rose brings a warm summery feeling with it's cool peach, watermelon, orange peel and rose aromas. On the palete the wine is dry, but still juicy with stone fruit, and watermelon flavors. Hints of Apricot, Peach, Grannysmith Apple with a touch of Pear. Creamy texture with a small hint of crisp acidity on the finish. Tasting Notes: The Estate grown 2016 Pinot Noir is a Rich, full body wine. Complex aromas that range from Blackberry, Cherry and Ginger. Aromas of Rose Petasl, Almond and Cinnamon. Grapefruit, candied citrus zest, and wet stone merge together in this amply structured Sauvignon Blanc. It's tangy palete is infused with juicy grapefruit, green melon and almond. The finish is firm and smooth. Tasting Notes: This opens with dusty rose floral notes, and evolves with roast beef, and pepper finishing in aromatic cedar. The palate is both heavy duty and elegant. It varies from the aromas by showing bold cherry flavors framed by black pepper and melon. Opaque and full bodied, this classic Zinfandel has ripe berry fruit, white pepper, and a balsamic note. It plays out broadly across the palate with smooth tannins, and a consistent firmness that carries the dark berry flavors through to the end. The aromas swirl with red fruit, raspberry, mineral, candied cherry, graphite, and soy. Medium full body offering tart raspberry, and currant flavors finishing with a hint of tea. Tasting Notes: Beautiful aromas of berries and vanilla lead to intense flavors of ripe blackberry, blueberry and dried plum. The luscious fruit character is complemented by sweet spice notes, fine supple tannins and a very balanced finish. Tasting Notes: The flavors of the wine embody red pepper, forrest floor, herb and pomegranate. On the palate, the Green Label features a medium body, red fruit, clean and bright dried cherry finish. Tasting Notes: The bold flavors of the fruit embody cherry, plum, a sweet herbal Marjoram and a fragant spice. On the palate the smooth broad feel of the wine carries into cherries and spice.